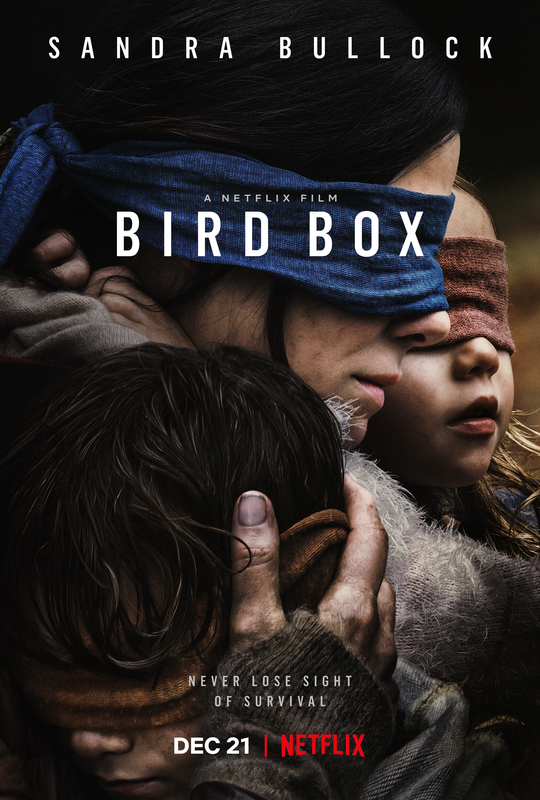 Netflix has released the first official trailer for their upcoming collaboration with acclaimed director Susanne Bier, Bird Box. Based on the novel of the same name and starring Sandra Bullock, the film is set in a world where a mysterious force has decimated the population with only one true answer so far: if you see it, you take your own life. With absolutely no certainty of what the future holds, Malorie (Bullock) finds happiness in the apocalyptic dystopia the world has now become only to have it ripped away, where she must now take herself and her two children on an unthinkable journey to survive that must be done blindfolded because of what is waiting for them in the outside world. This film looks absolutely fantastic. I am shocked at how much I not only loved the trailer, but how excited I am to watch it. This was the first time I had heard of the film, so I had a fresh take on what was going on. I must say, I was completely mesmerized by what I was watching. Now it does look somewhat similar to some stuff we’ve done before, but the style of story director Susanne Bier has captured with the horror/sci-fi feel to it is incredible. I’m 1000% sold on the idea of this one. Outside of the interesting and thrilling nature of the film, I’m most excited about the cast. I’m a Sandra Bullock fanboy as of recent years and so excited to see her in this type of role. She’s an incredible actress and am very much looking forward to seeing her step into a role as deep as this one, a la Emily Blunt in A Quiet Place. The supporting cast is bonkers as well. There’s so many names and while the synopsis focuses on Bullock alone, I’m intrigued to what they can bring the story as well. I’m so excited to see Sarah Paulson pop up more in the film medium, John Malkovich and Jacki Weaver speak for themselves, and after Trevante Rhodes was a standout in the poo-box that was The Predator earlier this year, I’m looking forward to see what he can bring opposite such a great talent like Bullock. if you can’t tell already, I’ll definitely be looking for any opportunity to see this one in theaters around Christmas time. Check out the brand new trailer below and make sure to leave your thoughts in the comments! How did you feel about the trailer? Am I nuts for being this excited? Does it being a Netflix film excited you? What do you think of the cast? Also starring Rosa Salazar, Danielle Macdonald, Lil Rel Howery, Tom Hollander, Colson Baker and BD Wong, Bier’s Bird Box will have a limited theater release on December 21st, where it will be released on Netflix the same day.